We offer high quality Roll to Roll Center Sealing Machine to our valuable customers. This product is manufactured from finest quality raw materials that are sourced from well known vendors. 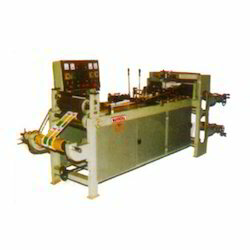 This machine is used for effective sealing of many products manufactured in many industries. This product undergoes a wide range of pre defined quality assurance tests at each level of its production, to ensure international standards of quality.